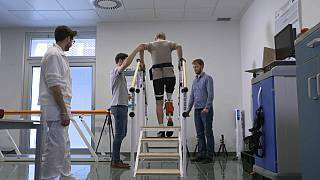 Researchers in Italy, from a wide range of fields, are working to reduce the amount of effort the physical body exerts when using a prosthetic. 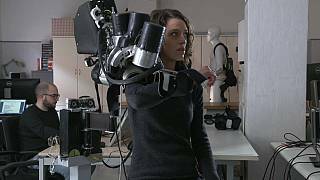 Tests on prototypes of prosthetics and pelvis exoskeletons are being made at the Bio-Robotics Institute in Pontedera. 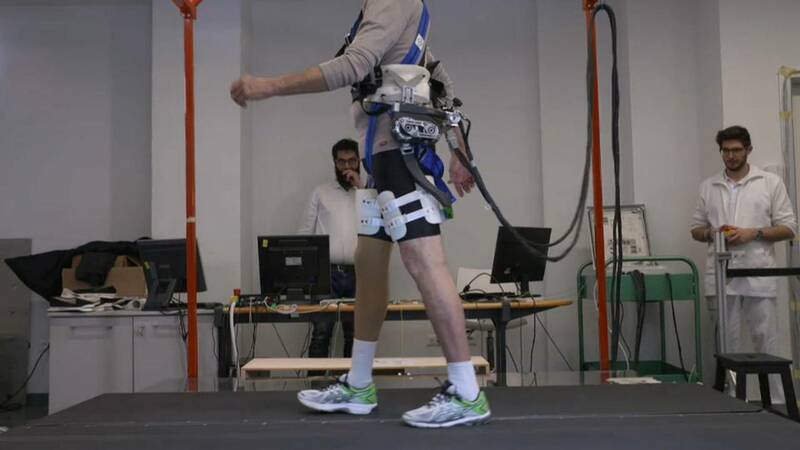 The studies called Cyberlegs Plus Plus look at the parameters of walking and transfer data onto two robots, one for a leg and the other is a brace around the body. 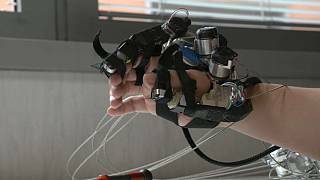 Nicola Vitiello, Associate Professor and Project Co-ordinator at the Bio-Robotics Institute of Sant’Anna School of Advanced Studies, said, "You want the system to automatically understand what you want to do. So this is why in these robots, we need to put some cognitive ability." 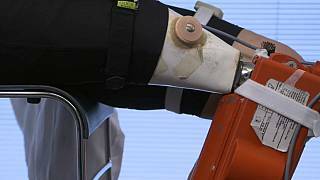 There are sensors tracking movement which are connected to two motors positioned on the ankle and on the knee which anticipate movement. 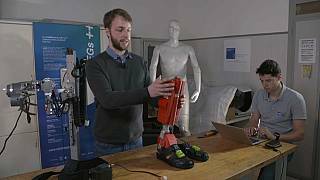 Doctor Joost Geeroms, Mechanical Engineer Researcher at Vrije Universiteit Brussel explains how the leg robot works, "On the two insoles, one is placed on the prosthetic and one is placed on the healthy leg. And seven inertial measurement units. All this data is collected, stored and processed inside the prosthetic. So we measure exactly what the limbs are doing, where they are, and how they are moving. Based on this information, we compare it to the model and we know if the user is walking or if he wants to take stairs, or if he wants to stand up from a seated position for example." 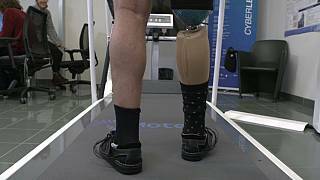 Doctor Raffaele Molino Lova, Medical Coordinator at Marelab said, "Lower limb amputee patients use a lot more energy to walk than other people. The aim of the pelvis active orthesis (brace) is to give the necessary energy to make their walk less tiring". Daniele Bellini lost a leg 15 years ago in a farming accident. He's now a volunteer for a European project which aims to make life easier for amputees like him. After two sessions of using a new prototype, Daniele could manage to climb stairs. "With the prosthetics I usually wear, this is not possible. I have to stop at every step because the knee is just a suspension. When I go down the stairs, it does absorb the shock, but it doesn't give the power needed to go up the stairs," said Daniele. Scientists are also developing a fall-stop mechanism on the same exoskeleton. In 0.3 seconds, the brace identifies and then corrects the loss of balance, triggered by a "slip simulator" system. It's an exciting time to develop new technologies according to Vitiello. "You know that you're developing enabling technologies, that can somehow be used in other domains, with other kinds of patients in the healthcare domain or in industry to relieve workers from excessive fatigue, or applications in the broader consumer market and here, of course, we can imagine that maybe young people can come with innovative ideas so that we can explore in the years to come".